So, you have chosen Georgia for opening your business in? Well then, you can hope to see great things come out of your plan. And that is, if you follow the main and important steps properly. 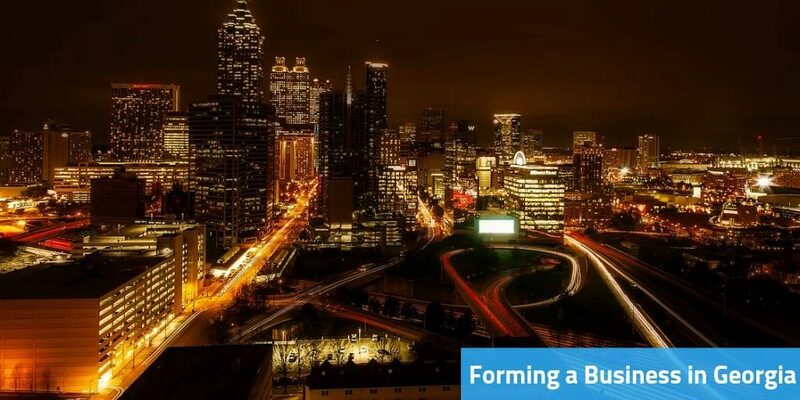 Forming a business in Georgia is a great idea since it has recently begun emerging as a startup hub. Its business-friendly nature has been attracting many into the state. Even though it doesn’t seem to be important, it is one of the most vital steps towards forming a business in Georgia. It is also the most undervalued step when a person is working towards launching a business. Many people feel that they need a business plan only because the bank wouldn’t give then a loan otherwise. But that is not the only reason why a business plan is ever needed. By making a business plan, you would be able to get all your ideas out of your head and create a roadmap that would help you understand where your business would go or where you want it to go. As a matter of fact, business planning is an important part to create a successful business. The next step in forming a business in Georgia is to choose the right business entity for your business plan. This is basically referred to as a business structure and it is an essential step since it creates some rules as to how the company would operate and pay taxes to the government. In short, this is how the business is organized in a legal way to do business. In case a single entrepreneur makes the decision to create a business just for themselves, it is called a sole proprietorship. As a matter of fact, this is the easiest business structure to create and handle, and also the least expensive one. But in this case, the owner would be the one personally liable for any actions and debts of the company, which is the largest drawback of this structure. This means that in case the business get sued at any point, all the personal assets of the owner would be at risk potentially. The owner on the other hand would also have to pay additional self-employment tax on any of the profits that the business makes, which can end up being a high amount of taxes as compared to what the other entities would pay. Moreover, to select this structure, you would not have to file for anything with the Georgian state government. This means that any company that does not register with the government choosing any of the other business entities are by default considered as a sole proprietorship in Georgia. Moreover, the business does not pay the tax from its income, instead, the losses and profits are passed through to the personal income tax return of the owners. And this income is subjected to the self-employment tax. Furthermore, this structure also does not need to have to be incorporated just like the sole proprietorship. This is one of the most common business entities that many entrepreneurs choose since it is a separate business entity from the owner. Even though the corporations are much more complicated and expensive to set up as compared to the partnerships and the proprietorships, it has the main advantage which is that it protects the personal assets of the owners from any cases of when the company is sued or is in debt. Moreover, multiple ways are there in which the corporation can choose to be taxed. As a matter of fact, there isn’t any self-employment tax for the owners in this business structure. This is because the income would come to the owners in the form of salary or dividends. This is the top most popular business entity choice since it offers the liability protection like the corporation and the ease of operation as a sole proprietorship. The best part about this structure is that an LLC does not have the burdens that the corporation has like holding the shareholders meeting, the board of directors meeting, taking minutes, etc. Moreover, this structure also has the highest tax flexibility as compared to the other entities. The income earned by the company can be taxed as a corporation or the sole proprietorship. As soon as you have decided on the business entity that you want, the next step is to select a business name and register it. In case you are a sole proprietorship or a general partnership, the business would be under your first and last name, if there is no filing. But in case you want to operate the business under a fictitious or trade business name, you would have to file a DBA filing (Doing Business As) with the County Clerk’s office in the county in which the business is located in. For the other business entities, you would have to file for registering the business name. Moreover, there are some additional rules that you would have to follow for the name. For instance, the LLC business needs to have the word LLC or Ltd at the end of the name. Also, you would have to avoid using the name that has already been used or is similar to any other company’s name. There are also some words that you cannot use in the company like bank, government and so on. To know what the list of rules of, check out the Secretary of State’s website to know more! The next thing in forming a business in Georgia includes filing for the Employer Identification Number or EIN. This is also called the Federal Employer Identification Number or FEIN. It is a nine-digit tax identification number that is given by the IRS (Internal Revenue Service). As a matter of fact, this number is given to identify the the business operating in the USA. It is used to track the tax returns of the company just like a social security number (SSN) works for a person. Moreover, this number is also used to open a bank account. Even though most of the companies need to get the EIN, not all need the EIN. All the corporations, LLCs, partnerships and sole proprietorships that have employees would need to file for the EIN. And the ones that do not have employees do not need to get the EIN. In such situations, the SSN of the owner is used. The filing of the EIN if done online, takes just a few minutes and the number is given immediately. The filing can also be done by filling the form SS-4 and mailing it to them. You can also call the IRS office to have the registration done. To know more about what you need to do, you can contact us or check out the Georgian Secretary of State website. Now that you have got the EIN, the next step in forming a business in Georgia is to get the respective licenses and permits that would allow your business to run the business freely in the state. You company might or might not need some licenses based on the location of the company or the services that you offering. If your business is providing any taxable services, selling any tangible personal property, or contracts to provide services in Georgia, then you would have to register for a Sales & Use Tax Certificate. It is easy to register for this online through the Georgia Department of Revenue. Generally, there is a sales tax imposed on retail sales of certain services and physical products in Georgia. Even though many services are exempt from the sales tax, there is a sales tax imposed on the sale of admissions, sales of accommodations, charges for participation in amusement activities and games, and in-state transportation of individuals. Additionally, there is a sales tax that is charged by some sellers in Georgia in order to cover the sale of the taxable property. For instance, in case there is a seller who is charging about $20 for a t-shirt and is charging $5 to deliver it to you, the sale tax would be levied on its total ($25). Many professionals in the state would also need to get a license to offer their services to people. These professionals include plumbers, landscapers, home inspectors, interior designers, accountants and many more. To get more details on this regarding the fees and what other professionals need the licenses, visit the Georgia Secretary of State. Other than the professionals, some businesses would also need professional licenses like salvage yards, daycares, food establishments, and many others. This too can be checked on the website of the Georgia Secretary of State. A lot of towns and cities have their own local licenses where you might have to register your business there as well. In some places, the home-based businesses also might need to register. So, it is always better to check with your local government agency when looking for the licenses needed to run a business in a place. Every locality has its own rules for businesses, so the requirements can vary based on the location. There are some places for where you might need the liquor licenses, fulfil the signage requirements, building/ building improvements, zoning, etc. To know more in detail about this, you can contact the economic development office, the city hall, mayor, or even the Chamber of Commerce. You can contact a bank to get a loan, but remember that they have a high-interest rate of about 20 to 25% of the loan amount. Moreover, you would need a good credit score to have your loan approved. Also, you would need to offer some collateral for getting the loan, mostly if the amount is huge. Other than this, you would need to share a lot of other documentation. It is not a great option but it is a decent one. If you want to add in shareholders in your business and do not want to take the pains of paying back, you can go to an investor (venture capitalists or angel investors). Not all businesses get loans easily from a bank, and for that case, there is the SBA (Small Business Administration) that offers loan guarantee programs. It is a federal program and it gives guarantee to the bank that they would pay the percentage of the loan back in case the owner can’t. This percentage can range from 50%-85%. Though this idea seems great, this option puts the owner in place where he has to pay high closing costs, fees and interest. Another option is the peer-to-peer lending services where you can get a loan without going to the bank. They work like a personal loan and the rate of interest vary based on the credit of the owner. The amount varies from $35,000 – $40,000 range. And if you are looking for options, there are two famous ones – LendingClub and Prosper. Even though people feel that this option is no good, there are some small business grants. And while most are for the businesses that are doing research, there are a few grants that come for the business startups. The best way to find out about them is by doing a good amount of research. And if you are in need of a federal grant, you can get all the information on their website. With all the steps clear, you can now easily begin to work towards forming your business in Georgia. Just ensure that your idea is a million dollar one and that you work hard to make it successful. And that is when you would be able to run your business for many years to come. So, what are you waiting for? Begin to work on your business plan and then have your business registered with the government. For registering and incorporating your business with the Georgia government, IncParadise can help you. Contact to know more and to check out the other services offered by IncParadise!